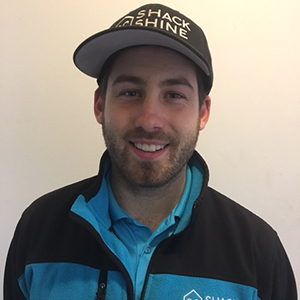 Shack Shine is your trusted exterior house cleaning service in Richmond! We know just how hard you work to maintain your home and the long list of to-do things you need to get done. When you let our experienced technicians handle your home’s house detailing, you can spend more time doing the things you love. 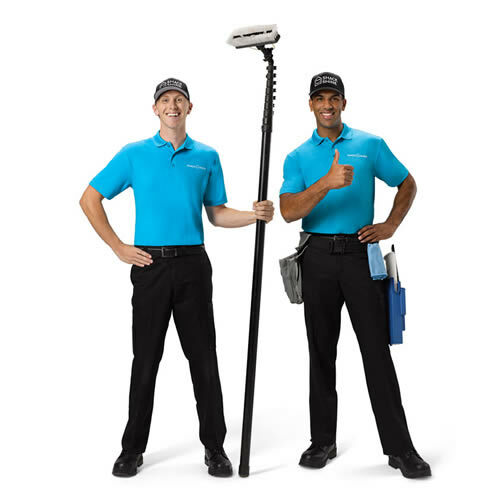 Our friendly, uniformed technicians are happy to arrive at your home in to provide a full house detailing in Richmond in one comprehensive visit. We’re happy to take before and after pictures or do a walk through with you to show you just how beneficial it is to work with us for any exterior house detailing needs. Window cleaning is another service we offer as a part of our Richmond exterior house cleaning service. We handle both interior and exterior windows, even those that are hard to reach. And, we don’t climb on ladders to do it but rather use a water-fed carbon fibre, pole for a beautiful shine. We’re shining your neighbourhood, one home at a time. Our gutter cleaning service helps you to stay off the ladder while our dedicated team handles all of the muck and debris in the gutters. We use a system of high powered vacuums and large canisters to pull out all of the material in the gutters. We then ensure they flow well by flushing them out. Our team will wipe down the exteriors too, so that your home looks fantastic. Even better, you won’t have to worry about your gutters being the reason your foundation is leaking or your roof line is damaged. We’re making your home smile. House washing is one of the most important exterior house cleaning services homeowners in Richmond need. The weather and sun can really put your home through a lot and cleaning the exterior surfaces isn’t always easy. At Shack Shine, we offer two solutions. Our soft wash and hand wash services are perfect for more fragile surfaces such as vinyl siding. We use a pressure wash solution for harder surfaces like brick. Both methods properly wash away grime and buildup leaving your home positively shining. Your home will love you. A part of the exterior house cleaning service we offer in Richmond is roof cleaning. The roof is susceptible to all types of damage from the weather. It’s our job to wash it away. We do this using a safe power washing method that pulls off grime, mould, mildew, and other stains, creating a like-new look. At the same time, it can help to prevent early deterioration of your home’s roofing, ensuring you don’t have to replace your home’s roof any time soon. Roof cleaning is always done safely so you don’t need to climb on a ladder! Happiness in every detail – it’s what we’re focused on. Power washing is one of the most advanced methods available for many house detailing services in Richmond. With this service, we can wash away all of the grime and debris – even stains that have been there a long time, and create a like-new look. We don’t need to use harmful chemicals in the process. We care about the environment just like you do. Our power washing methods are safe for many exterior surfaces of your home. Your home will love you! Pressure washing is an exceptional way to cleanse many of the horizontal surfaces of your home as well. Our expert technicians will use just the right amount of pressure to pull off debris and grime from surfaces such as your patio, decking, driveway, and walkways. We’ll move any furnishings out of the way and replacement as well, so you don’t have to! Get ready to have the most festive and shiniest house on the block this holiday season! Shack Shine Richmond is in your area, offering a reliable and efficient Christmas light installation service, making it easier for you to get ready for the holidays. We offer high-quality commercial grade Christmas lights that are energy efficient for your home. Everything is 100% customizable from the style to how it fits your roofline. To make it even more convenient for you, we’ll return to fix burnt out lights and do the takedown at the end of the season. Let us help you get into the holiday spirit. We are happy to help you get started with holiday lights decoration with our high quality service. We are here to help from start to finish. We help get those holiday twinkles on in no time! 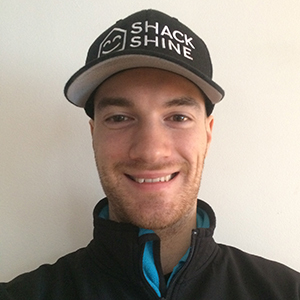 My name is Kit Hulbert and I am one of the owners of Shack Shine Vancouver South. 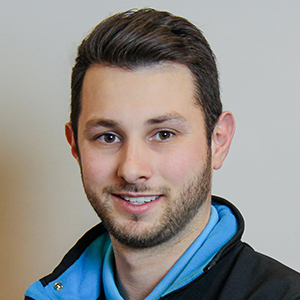 A native of BC, I grew up in South Surrey and graduated from UBC in 2011 with a Bachelor’s of Commerce. My first foray into entrepreneurship was running my own College Pro Painters business, which afforded me the amazing opportunity of travelling to South East Asia and South America. In my spare time you can usually find me doing something physical. In the winter time I enjoy playing hockey and snowshoeing. When the weather gets nicer you can find me in the mountains hiking or getting in some long distance bike rides.